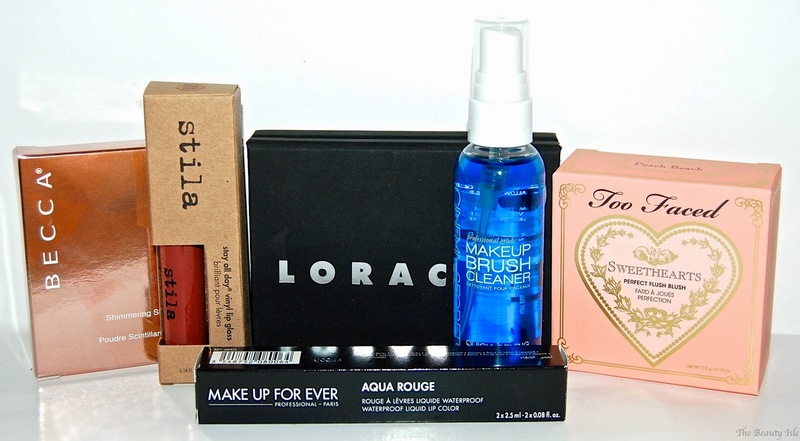 Let's start with what I picked up at Ulta. I really loved this palette. 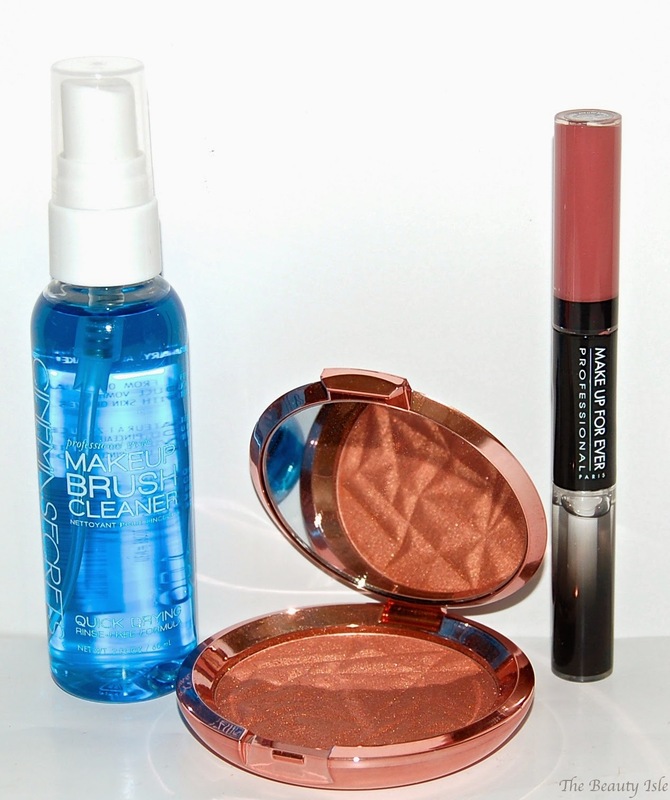 It's perfect for travel because it has 2 blushes and a bronzer as well as a complete set of neutral shadows. Read my full review here. This is a decent gloss but not the best I've tried. It does have some staying power but nothing special. The shade has a bit of an orange undertone on me. I may actually return this just because I don't totally love it. I absolutely love this blush. It's a nice light peachy shade and has a really pretty sheen. Here are my Sephora goodies. I got everything listed below for 15% off. I got the mini version of this brush cleaner because it's pretty pricey. I've heard great things so I look forward to trying this. I did try it on some eye shadow brushes and it really does work quickly and completely. If you can't tell, I've been recently obsessed with mauve liquid lipsticks. So far I really like this one, the color is nice and it's not too drying. 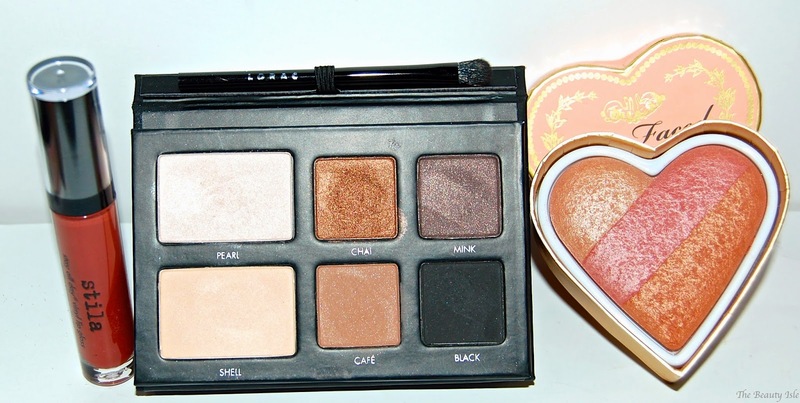 This looks absolutely gorgeous in the pan and swatches beautifully, not to mention look at that rose gold packaging! Although it's pigmented, it's really powdery and applies a little patchy. I can't really figure out if this works best as a blush or a blush topper on my cheekbones. I'm going to try this a little more but I have a feeling this will be getting returned. Do any of you guys have this blush/highlighter and like it? Well that's everything I picked up. Let me know what you got during these sales!